It’s that time of year when The Kindle Book Review spreads good cheer. With gift cards, joy, and holiday fun, winning’s possible for everyone. So ho ho go ahead and enter the $900 HOLIDAY set. You could WIN a $400 or $500 Amazon Gift Card, a gift you won’t forget. 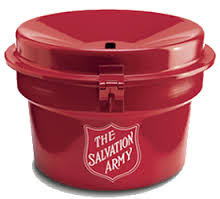 I am one of the sponsors of the contest, offering portions of the sales of Boxes For Beds to The Salvation Army, when purchased via the Kindle Book Review contest site. All of the prizes will be awarded before Christmas! Ends Dec 21. Click here to enter. Details below. With every giveaway The Kindle Book Review supports a non-profit organization, and they have chosen to support The Salvation Army for the entire month of December. As always there is no purchase necessary to enter or win the giveaways, but supporting the authors is what makes these giveaways possible. And supporting The Salvation Army can change a life! 1. Consider purchasing at least one of the books on the giveaway pages. A portion of each purchase will go directly to The Salvation Army via the Amazon Smile program. 2. Drop at least $1 in the virtual Red Kettle you will find on the Kindle Book Review site.. Together we can make reading and fund raising fun. So enter the giveaway, support your next favorite author, and make change happen by supporting The Salvation Army.